The Toyota Prius, Honda Fit and Toyota Vitz remained Japan’s favorite cars in 2011 and again topped the list of best-selling car models. 2011 was a difficult year for the Japanese car market. Despite production disruptions following natural disasters, the Toyota Prius remained Japan’s favorite car model. It was again followed by the Honda Fit and Toyota Vitz. Nissan’s Serena outsold the Corolla for fourth and fifth place respectively. The Japanese total vehicle market in 2011 shrank by 15.1% to 4,210,220 new vehicle registrations. Toyota (-24.4%) remained the top manufacturer in Japan in 2011. 2011 was a very challenging year for Japan and the Japanese car industry. The earthquake and tsunami in March caused severe disruptions to most car manufacturers, which in some cases slowed regular production for months. Flooding in Thailand later in the year caused further problems. Despite these problems, and a 15% slump in the overall market, the list of top selling cars in Japan remains much the same as in 2010. Although Toyota sales were down by almost a quarter, Toyota models still dominate best-sellers lists. In 2011, for the third successive year, the hybrid Toyota Prius was Japan’s favorite car. Although sales were down 20% for the full year, it should be kept in mind that the 315,669 Prius cars sold in 2010 was an all-time record for a single model in Japan. 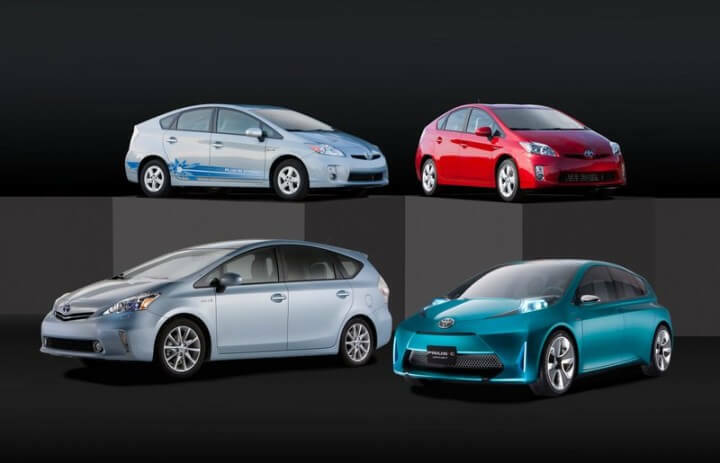 Also, the Prius family is growing with new models introduced only right at the end of 2011. The Honda Fit (Jazz in many foreign markets) was the second most popular car in Japan in 2011 also for the third consecutive year. Although Fit sales increased, Honda (-22.2%) also had a very difficult year and slipped from second to fifth largest car producer in Japan in 2011. The Toyota Vitz (Yaris in most foreign markets) was again third. The Nissan Serena improved from eighth to fourth at the expense of the Toyota Corolla that slipped one place with much reduced sales. However, worldwide the Toyota Corolla (or Auris in some markets) remained the world’s most popular car model with just over a million cars sold in 2011. The Honda Freed slipped one position, while the Mazda Demio reentered the top-ten list from eleventh last year despite weaker sales. The Toyota Ractis entered the top-ten list of best-selling cars in Japan in 2011 from 19th place last year. The Toyota Passo slipped to ninth from sixth. Nissan (-8.4%) had a relatively strong year compared to other Japanese manufacturers and the Nissan March (17th last year) rounded out the top-ten list of most popular cars in Japan in 2011. See also The Top Car Manufacturers in Japan in 2011.